16th - 20th May 2016. Where has the term 'Tweetfest' come from? Being the start of festival season, 'Tweetfest' was coined when we decided to host a #WhyWeDoResearch tweetchat for International Clinical Trials Day 2016 (20th May). The response was so huge and the passion so clear that we decided to set up a week full of chats covering all sorts of areas in healthcare ie a festival of tweets (acknowledgement to @DerekCStewart). All you need to do to join in the chats is join the hashtag #WhyWeDoResearch at the times scheduled. ​"Using SoMe for research within NHS Trusts"
​Michelle Stephens (@Mstephens26189) is co-hosting via @BlackpoolCRC the first Tweetfest chat. 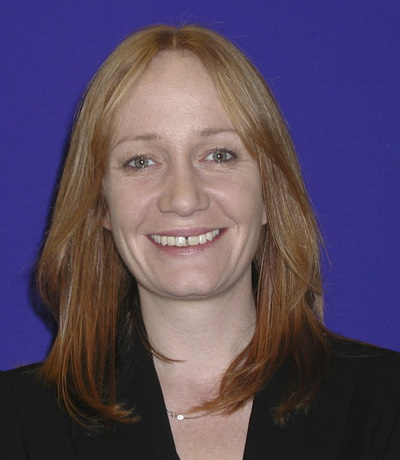 Michelle is Head of R&D at Blackpool Teaching Hospitals and has over 20 years’ experience working in R&D Management. 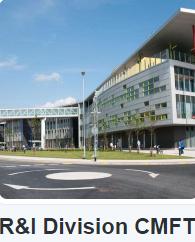 @BlackpoolCRC is the research twitter account for the R&D Division at Blackpool Teaching Hospitals NHS Foundation Trust. Over the last eight years the Trust has seen a growth in research active areas, an expansion in its research workforce, an increase in the number of studies opened, an increase number of patients joining studies and being a top recruiting site for recruiting the 1st global patient and 1st European patient. The Trust’s reputation for research is that of a high performing NHS research active hospital. The Clinical Research Centre, the research facility at the Trust, opened in July 2012. 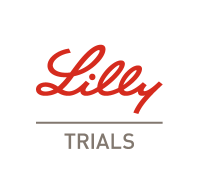 The Trust continues to build its portfolio of both commercial and non-commercial Phase 2, 3 and 4 Clinical Trials, as well as other well designed clinical studies. The Trust enjoys a critical mass, proven track record and leadership and now is the ‘partner of choice’ for many sponsors. "Connecting Researchers, Patients and the Public"
Claire Whitehouse (nee Gibbs) (@ClaireW_UK) is the originator of the #WhyWeDoResearch campaign. Her research nursing career commenced in 2010 as a Critical Care Research Sister at Imperial College Healthcare NHS Trust. She was successful in obtaining a Florence Nightingale Foundation Research Scholarship in 2010 (@FNightingaleF) with which she completed a PGCert Research Methods at Kings College London. In 2012 Claire became a Senior Research Nurse @JamesPagetNHS @JPUHResearch and in December 2015 was promoted to Lead Nurse for Research. Claire completed her MSc Nursing Studies at Oxford Brookes University in 2015 having secured funding through a second FNF Research Scholarship and a Barbers Company Nursing Scholarship. 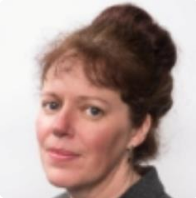 She sits on the FNF Alumni Steering Group, UK Research Nurse, Midwife and AHP Forum, and the NIHR Workforce work-stream focusing on developing a pathway for B6/B7 Clinical Research Nurses. The Irish Research Nurses Network (IRNN) is a resource for all research nurses and midwives. The IRNN provides educational support, updates on research news, advertise research vacancies and organise annual conferences to disseminate research undertaking by research nurses and midwives. 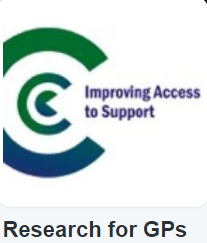 The IRNN is delighted to be part of #WhyWeDoResearch and to co-host ‘Connecting Researchers, Patients and The Public’. Hazel A Smith (@smithhazelann),communications officer for the IRNN, will be tweeting on their behalf. Hazel is a midwife and her background is in pediatric research. 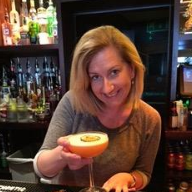 She is currently the research officer for the Irish Prostate Cancer Outcomes Research (IPCOR) Study. 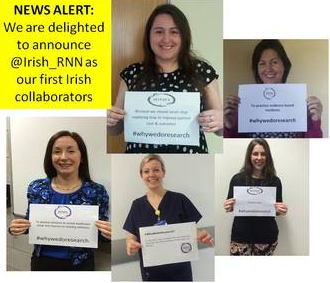 The Irish_RNN team are Irish collaborators for #whywedoresearch. 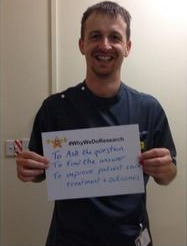 ​Michael is the lead collaborator for the #whywedoresearch campaign. He qualified as a nurse in 1995, his career started within neurosurgery and neurosciences, and then moved into critical care nursing. Michael has been working within stroke research in the capacity of a research nurse for the past 7 years, he has developed an integrated stroke research service, where research is seen as part of the Stroke Multi Disciplinary Team (MDT). The stroke service in York was runner up site of the year in the National Stroke Research Network awards 2012. Michael works with the team ensuring an environment supporting continuous improvement flourishes. Work has included the 4P’s of Research, the development of a patient centred service, and was presented at the NIHR Celebrating Clinical Research Nursing meeting 2013 (Project video: https://www.youtube.com/watch?v=ryWas7Kvl6Q).Michael became involved with the #whywedoresearch campaign in December 2014; Campaign video: https://www.youtube.com/watch?v=cjkrBzeluNo). Recently Michael moved into a Stroke Clinical Nurse Specialist post. 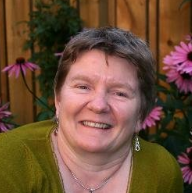 "Learning and supporting involvement in research"
Karen Inns is a Patient and Public Involvement and Engagement Lead at the NIHR Clinical Research Network, based in Leeds, UK. 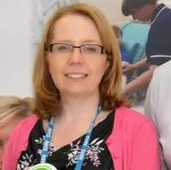 A former nurse and healthcare professional educator she works as part of a small national team helping to connect patients, public, healthcare and research staff in the delivery of patient focused research in the NHS. Karen has a real interest in reaching out to diverse audiences to raise awareness and promote opportunities for learning, encouraging people to get involved in and shape health research for the benefit of us all. She is currently supporting development of learning for the MOOC:Improving Healthcare through Clinical Research and Building Research Partnerships. "Dementia Research - Let's get out there"
Nursing Times Clinical Research Nursing Category Award Winners 2014. A partnership between Lancashire Teaching Hospitals NHS Foundation Trust and Lancashire Care NHS Foundation Trust ,with foundations in the research network Dendron, won the inaugral ‘Clinical Research Nursing’ category 2014. 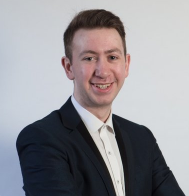 "The Patient Research Ambassador Initiative"
​Simon is a final year Biomedical Sciences student who lives with a number of a long-term conditions, including childhood-onset arthritis, fibromyalgia and Crohn's disease. He does a lot of work in raising awareness of long-term conditions, as well as influencing the research agenda for young people. As a consumer health advocate, Simon advises the UK's National Institute for Health Research, and Arthritis Research UK on the research that is prioritised and funded for young people living with rheumatic and musculoskeletal diseases. 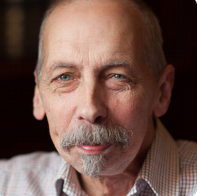 In addition, he sits on numerous strategic and advisory panels for health and social care initiatives in the UK, and is a member of the Patient Research Ambassador Initiative. ​Founder of @researchMWs, diagnosed with Breast Cancer Aug '15 Research MW, MPhil/PhD /Co Lead for Post Dates Comp therapy clinic for overdue mums@HinchHospital. "The mental health of Primary Care Workers"
Johanna Spiers (@DrJohannaSpiers) is the senior research associate working on the GP Wellbeing study (@GPWellbeing) She will be co-hosting the Mental Health in Primary Care Workers session for #WhyWeDoResearch. 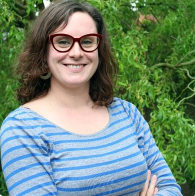 Johanna is a qualitative health researcher who studied psychology at Birkbeck University and completed her PhD on the experience of living with and being treated for renal failure in 2015. She has worked on a range of health studies looking at topics as diverse as adherence to HIV medication and living with an ileostomy. Her current work at the university of Bristol is focused on analysing interviews with a group of GPs who are living with anxiety, depression, stress and/or burnout. Anna Taylor (@Anna_K_Taylor) is co-hosting the Mental Health in Primary Care Workers session for #WhyWeDoResearch. 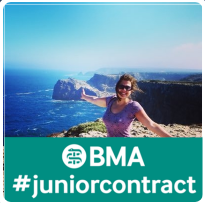 She is a fourth year medical student at the University of Bristol, and has an intercalated degree in Global Health. She aspires to a career focused on mental health and has a Pathfinder Fellowship awarded by the Royal College of Psychiatrists. Her research interests lie in the areas of primary care mental health, health services research liaison psychiatry, with particular interests in mood disorders, suicide, domestic violence and CFS/ME. She has been working on the @GPWellbeing study since its conception. "Knowing when to stop research: academia"
Emma Pascale is following a clinical academic pathway with a clinical role as staff nurse at Oxford University Hospitals NHS Foundation Trust(@OUH-Nursing) alongside an academic role as a PhD candidate with the Oxford Institute of Nursing and Allied Health Research (OxINAHR) researching unplanned readmissions among older adults. Prior to nursing, Emma worked in a variety of public health and health improvement roles in the UK and Spain. She is particularly interested in vulnerabilities and health inequalities and the public health role of the nurse. She was a finalist in the Student Nursing Times Awards 2016. She is passionate about making research accessible, inclusive and relevant to all. ​A second edition of her Research Companion book, published by Routledge, will be out in the Autumn. "How can the pharmaceutical industry use #socialmedia to share research?" "Should pre-registration students look for research or should it be more visible?" ​Lauren is a Registered Nurse who works in King’s College Hospital’s Trauma and Acute Surgery Unit. The most exciting part of her job is taking polytrauma admissions from all over the Southeast of England, when people have been seriously injured and find themselves being looked after by the Trauma team at KCH Denmark Hill. She also loves learning about cellular and molecular immunobiology and has a special interest in multi-drug resistant pathogens, which she sees daily even in a Trauma Unit. She worries about the challenge European healthcare faces from antimicrobial and antibiotic resistance. She aspires to be a Nurse Researcher and is hopes to begin studying MSc Medical Immunology at King’s College London this autumn. 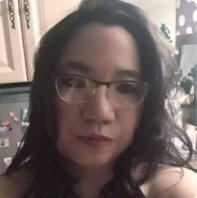 She is very passionate about nurses engaging in clinical research alongside other health professionals and scientists, and can be found on Twitter at @GeekforResearch. "#WhyWeDoResearch Hispana and Latino America"
I was born in Zamora Spain. Nursing for University of Salamanca in 1985. Nursing degree from the University of Leon in 2011. Nurse at SACYL in different hospital units, resuscitation and surgical areas. In 2002 Supervisor Sterilization Unit to which in 2012 the unit of Preventive Medicine is added and from March 2015 Supervisor of Human Resources. In 2007 Diploma in Health (Public Health Expert). In 2013 Accreditation to lead JBI systematic reviews by the University of Adelaide. Bachelor of Anthropology 2014. Since 2013 associate professor at the Nursing University School in Zamora in the subject Science and Evidence. Second vice president of the Spanish Society of Preventive Medicine, Public Health and Hygiene (SEMPSPH) and member of the Madrid Nursing Association of Preventive Medicine AMEP Member of the Research Committee of the Welfare Complex Zamora and the Commission on Patient Safety. Member of the Research Group Nursing Evidence SACYL. Principal researcher in several projects funded by the regional management of Castilla Leon. Publications summaries of evidence Sacyl website and various publications and participation in conferences. I have taught courses related to cleaning and disinfection of surgical material sterilization, infection control and hand hygiene.I am active on social networks in the little spare time I have. D.U.E. en la E.U. de Enfermería de Zamora,Universidad de Salamanca en el año 1985 . Grado de Enfermeria por la Universidad de León en 2011 Enfermera en el SACyL en diferentes unidades de hospitalización, reanimación y en el Área Quirúrgica . En el año 2002 Supervisora de la Unidad de Esterilización a la que en 2012 se añade la unidad de Medicina Preventiva y desde Marzo 2015 Supervisora de área de Recursos Humanos. En el año 2007 Diplomado en Sanidad (Experto en Salud Pública) En 2013 Acreditación para liderar revisiones sistemáticas del JBI por la Universidad de Adelaida. Licenciatura de Antropología por la UNED 2014. Profesora colaboradora en la EUE de Zamora en la asignatura Ciencia y Evidencia. desde 2013 Vicepresidenta segunda de la Sociedad Española de Medicina Preventiva, Salud Pública e Higiene (SEMPSPH) y miembro de la Asociación madrileña de medicina preventiva AMEP Miembro de la Comisión de Investigación del Complejo Asistencial de Zamora y de la Comisión de Seguridad del paciente. ​In 1995 I qualified as a Registered Nurse – Adult branch. I was one of the first Staff Nurses to emerge from Project 2000 at Mid Trent College of Nursing and Midwifery in Lincolnshire. 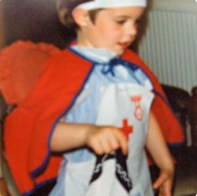 Soon after qualifying I embarked on a career in neonatal nursing. 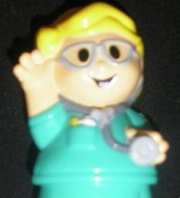 Fast forward 20 years and I have and still am enjoying a fantastic and fulfilling nursing career in neonatal care. In 2010 I became a research nurse supporting families and clinical teams through research care pathways. In 2015 I became the Bradford based Children’s theme Team Lead for the Yorkshire and Humber CRN. I love working with colleagues to increase good quality research opportunities for children and their families that will ultimately improve care and outcomes for future generations. 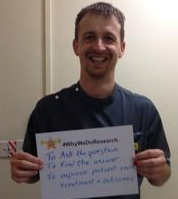 This is most definitely my #whywedoresearch! 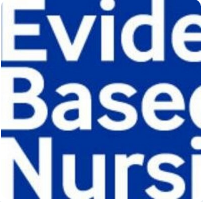 Evidence Based Nursing Journal: Published quarterly, the purpose of Evidence-Based Nursing is to select from the health related literature research studies and reviews that report important advances relevant to best nursing practice. The clinical relevance and rigour of the studies is assessed to identify research that is relevant to nursing. A commentary on chosen articles identifies the key findings and implications for clinical practice. Krys Castro-Foskett is one of the Senior Research Nurses at CRN West Midlands Division 3. Krys leads a team of research nurses working with the following speciality groups: Children's, Reproductive Health and Childbirth, Genetics and Non-malignant Haematology. Krys started with Medicines for Children research network in 2010 and then continued to work for the Network through the transition. Previously worked in Stroke Research, Cardiac Research, Diabetes and Renal Research, Rheumatology Research and Cancer Research. Also involved heavily in the Workforce development nationally and regionally, Krys is a GCP facilitator, PI Masterclass Facilitator and Programme Lead for CRN WM Paediatric Consent and Communications Training. 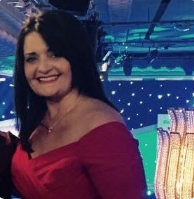 As one of her personal interests and WM CRN Div 3 projects, Krys is currently working on bringing research in Children's hospices and has started liaising and networking with key people and organisations to help make the West Midlands Children's hospices research-ready. palliative care worldwide. Sarah has been a hospice and palliative care nurse for over 20 years in a variety of NHS hospital, community and hospice settings. 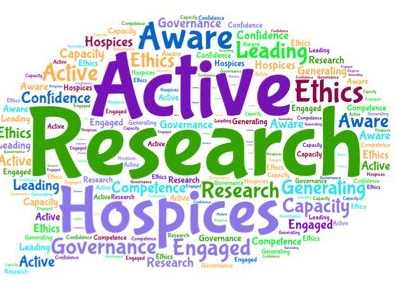 Her role at Hospice UK is to support hospices in their research activity, disseminate knowledge, increase advance care planning awareness, digital innovation, care homes and outcome measurements. Claire Callens NIHR PPIE officer (Children's Specialist) and Research Portfolio Manager ( Chidlren and Repro Health). I have been with the NIHR since May 2007 and was initially employed to lead the PPIE service for the then West Midlands Medicines for Children Research Network. Prior to this role I had many roles within Private Sector Organisations but also worked with Children with special educational needs for four years. Some of you may also know me in the capacity of my other WM CRN roles as Division 3 Portfolio Manager. Since joining the network I have loved working with many inspirational children and young people who are members of the West Midlands CRN Young Persons' Steering Group. My main accomplishments in this role have been winning the Birmingham Children’s Hospital Bi Annual Star awards in 2013 in the Research and Innovation Category and having a publication in the Lancet. However, I have to say the young people we are privileged to work with have accomplished much more, including being instrumental in the Launch of Generation R.
"Ensuring that patients admitted to emergency department have opportunity to participate in research"
Prof Tom Quinn is a cardiac nurse who has worked in a variety of settings including the CCU, ambulance service, and the Department of Health before becoming a full time academic in 2009. He was clinical lead for cardiovascular disease in the National Library for Health and subsequently for NICE Evidence. He is an active researcher with over £8m grant income as lead or co-applicant, and has published over 100 papers. He is a member of the PARAMEDIC and PARAMEDIC2 trialists groups and was delighted when PARAMEDIC was awarded Trial of the Year in 2015 by the Society for Clinical Trials. Tom is Professor Nursing at Kingston University and St George's, University of London. "Supporting departments as research team members"
of Rome and Agostino Gemelli Hospital. Rachel has worked at The Plymouth Oncology Centre as the Superintendent Research Radiographer. She joined the Society and College of Radiographers as a Professional Officer in May 2006. She is now the Professional and Education Manager for the SCoR. Rachel lives in Looe Cornwall with her husband Trevor and rescued Greyhounds Poppy and Billy and Miss Buttercup a Galgo from Spain. Sarah: Research and Audit Manager, South Western Ambulance Service NHS Foundation Trust. Sarah has a BSc in Psychology, and postgraduate qualifications in both clinical research and psychological research methods and statistics. She is aiming to finish her Doctoral studies soon. Having been with South Western Ambulance Service NHS Foundation Trust for fifteen years. Sarah is pleased to be part of the development of a ‘research ready’ Paramedic workforce, and enthusiastic about the continuing opportunities for pre hospital and urgent and emergency care research across the UK and beyond. She is passionate about building the evidence base, and using data to inform and improve the quality of care. In her spare time Sarah enjoys travelling and spending time in the mountains. 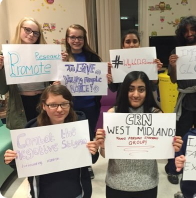 "Making involvement meaningful; properly involving young people in research"
The NIHR Clinical Research Network West Midland’s Young Person’s Steering Group (YPSG) were established in 2009 and currently have 20 members between the ages of 11 and 23. These young people have experience of chronic short term and long term conditions and/or experience of accessing healthcare. Prior to the NIHR transition the group have been extremely busy helping commercial, local, national and international researchers and Chief Investigators with the development and design of many studies. The group have also taken on additional roles as Patient Research Ambassadors on behalf of Birmingham Children’s hospital and are working to raise awareness of this initiative within the West Midlands. The YPSG’s proposed plans are to continue to help enhance patient’s experience of research by helping to improve research delivery, awareness and opportunities for the public to be involved in research within the West Midlands and beyond. "Round up of International Clinical Trials Day 2016: #WhyWeDoResearch style"
Claire Whitehouse (nee Gibbs) (@ClaireW_UK) is the originator of the #WhyWeDoResearch campaign. Her research nursing career commenced in 2010 as a Critical Care Research Sister at Imperial College Healthcare NHS Trust. She was successful in obtaining a Florence Nightingale Foundation Research Scholarship in 2010 (@FNightingaleF) with which she completed a PGCert Research Methods at Kings College London. In 2012 Claire became a Senior Research Nurse @JamesPagetNHS and in December 2015 was promoted to Lead Nurse for Research. Claire completed her MSc Nursing Studies at Oxford Brookes University in 2015 having secured funding through a second FNF Research Scholarship and a Barbers Company Nursing Scholarship. She sits on the FNF Alumni Steering Group, UK Research Nurse, Midwife and AHP Forum, and the NIHR Workforce work-stream focusing on developing a pathway for B6/B7 Clinical Research Nurses. ​​Michael qualified as a nurse in 1995, his career started within neurosurgery and neurosciences, and then moved into critical care nursing. 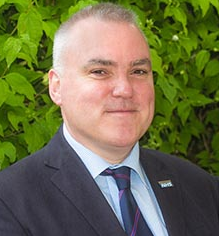 Michael has been working within stroke research in the capacity of a research nurse for the past 7 years, he has developed an integrated stroke research service, where research is seen as part of the Stroke Multi Disciplinary Team (MDT). The stroke service in York was runner up site of the year in the National Stroke Research Network awards 2012. Michael works with the team ensuring an environment supporting continuous improvement flourishes. Work has included the 4P’s of Research, the development of a patient centred service, and was presented at the NIHR Celebrating Clinical Research Nursing meeting 2013 (Project video: https://www.youtube.com/watch?v=ryWas7Kvl6Q).Michael became involved with the #whywedoresearch campaign in December 2014 and has been the lead collaborator on the campaign. (Campaign video: https://www.youtube.com/watch?v=cjkrBzeluNo). Recently Michael moved into a Stroke Clinical Nurse Specialist post. Cheryl is the Australian collaborator for the #whywedoresearch campaign. ​I am a Nurse Educator, living in Brisbane, Australia, with an extensive background in clinical nursing across multiple specialties. I am passionate about education, quality and research to improve patient care. I became involved in #WhyWeDoResearch because I strongly believe that involvement in research, at whatever level possible, is a key responsibility of all healthcare professionals. Only by investing time, energy and resources in sharing and developing our knowledge can we move forward and meet our future challenges. We would like to send a big thank you to the #wecommunities @wenurses team http://www.wecommunities.org/ for their support over the past two years and we are absolutely delighted to be collaborating with them for the world's first ever tweetfest.